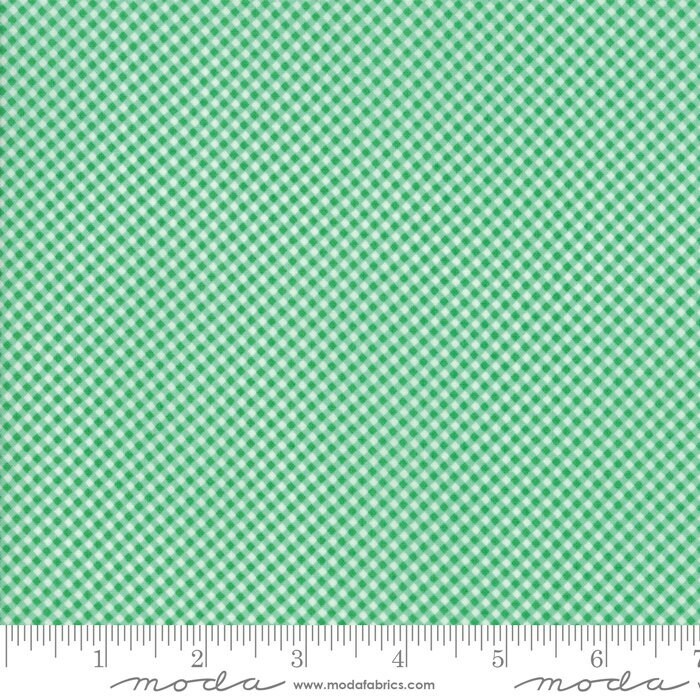 Guest Room Grass 8416 15 by Kristyne Czepuryk of Pretty by Hand for Moda Fabrics. This line is Kristyne Czepuryk (of Pretty by Hand)'s 2nd collection with Moda and it is scrumptious. Brighter, crystal clear colors, and super duper yummy! Both dark and light blue, dark and light pink, cream, and the prettiest green!